“Driver mode” control method has been added. Ability to switch on lights in cockpits added for the following aircraft. Players are now able to return old artillery strike camera for arcade battles. Also players will be able to select one type and use only one variant in the future. 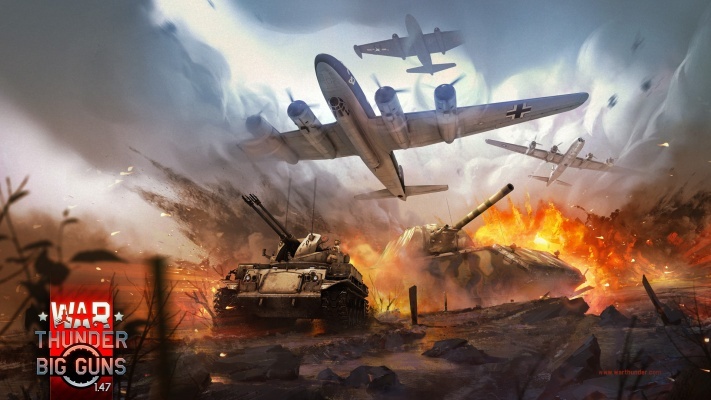 “Auto” fuze delay is set for all ground attack aircraft in air battle events for ground forces arcade battles. Now sounds and graphical warnings are displayed for players if bombs that are on the ground will reach their vehicle with their blast radius. Neutral Turn ability created in some vehicles according to Historical information - Panther, Tiger 1, Tiger 2, Jagdpanther & Maus Currently. Shells in death-camera will represent their type. Damage model for Hs.129B-2, Hs.129B-3 has been recalculated - construction strength has been increased. Optimizing DX9 render - increase of FPS. Reduced the allowed size for decals. In Ground Forces RB markers on allies will be displayed ALL THE TIME, both on aircraft and tanks. [PS4] Fixed incorrectly displayed indicator in bomb sights. Hotfix: Unpredictable crashes have been fixed. Hotfix: Client crashes on some PC’s with intel video card have been fixed. Unpredictable crashes have been fixed. Memory usage has been optimized.